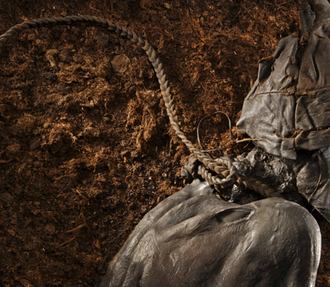 For thousands of years, bodies have lain under the mire, waiting for discovery in the murky depths of northwestern Europe’s numerous bogs – those wetlands made up of decomposing plant material (peat) that locals cut and dried to heat their homes. 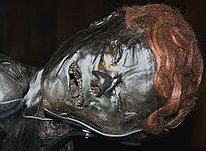 Bog bodies are the well-preserved (including mummified skin, hair and organs still intact) remains of people who usually have died a violent death in the swamplands of such countries as Denmark the Netherlands, Ireland and Germany. 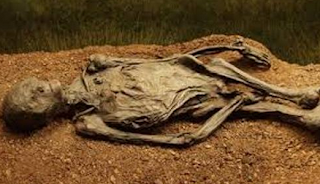 The oldest known bog body dates back to 8000 BCE and consists of the skeletal remains of a female known as Koelbjerg Woman. The oldest well-preserved bog body is called Cashel Man, who dates to 2000 BCE and was discovered in Ireland. Close to 1,000 bodies have been discovered in the world; many subjected to violent deaths and left for the boglands to dispose of. Researchers believe these people were either human sacrifices or criminals punished for their crimes. 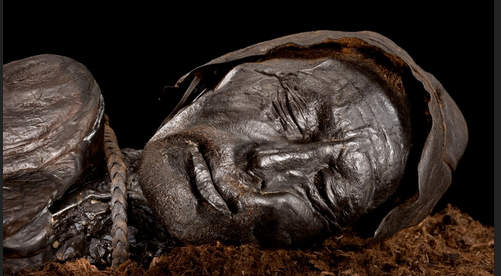 Most bog bodies date from the Iron Age when peat bogs covered a large area of Europe. 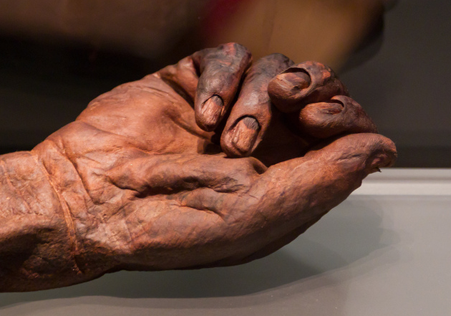 The most famous bog people of this era include the 2,400-year-old Tollund Man, 2,000-year-old Lindow Man, and 1,500-year-old Grauballe Man. Pre-Roman villagers believed that they could appease, or have favors granted by their gods by tossing possessions, and people in the form of sacrifices, into that slimy black pit. Most of the bodies bear similarities in the manner in which they were bound or staked out to die indicating a ritualistic killing. Bogs were also used as convenient “killing grounds” for the criminals of a society. Many still wear the ropes used to strangle them, some bear the stab wounds that ended their lives, and others show signs of the torture inflicted upon them. Bog bodies have also been identified by using the legend and lore of the area. In 1835, Danish ditchdiggers came across the remarkably well-preserved body of a woman who had been staked down and left to die in a place now called Gundhilde’s Bog. 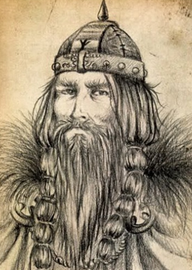 The swamp was named after a legendary eighth-century Viking queen who, it was said, was on her way to marry Danish king Harald Bluetooth when she was ambushed and drowned. Apparently the legend was true. The U.S. has it’s own version of bog people in Florida. These remains are between 5,000 and 8,000 years old and consist only of skeletons; skin and internal organs did not survive in this mire. Windover, Florida is the premier bog site in the U.S. – where in 1982, the excavation of a pond led to the discovery of these American bog people. The remains were found mostly lying on their left sides in a fetal position with their heads aimed toward the west; researchers believe that this may have been a community cemetery bog. 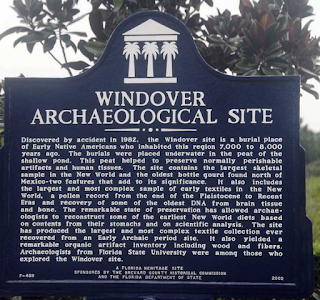 Over 160 bodies were unearthed. The dig ended in 1987 with only half of the excavations completed. It is now awaiting a new generation of archaeologist with updated techniques to discover more. But bog people are not just those who died in the distant past – archeologists have discovered the remains of Russian and German soldiers who fought in Poland along the Eastern Front during WW1. And a WWII Russian pilot whose plane was hit in-flight, crashed into a bog in northern Europe. His remains have been discovered, perfectly preserved for over half a century.